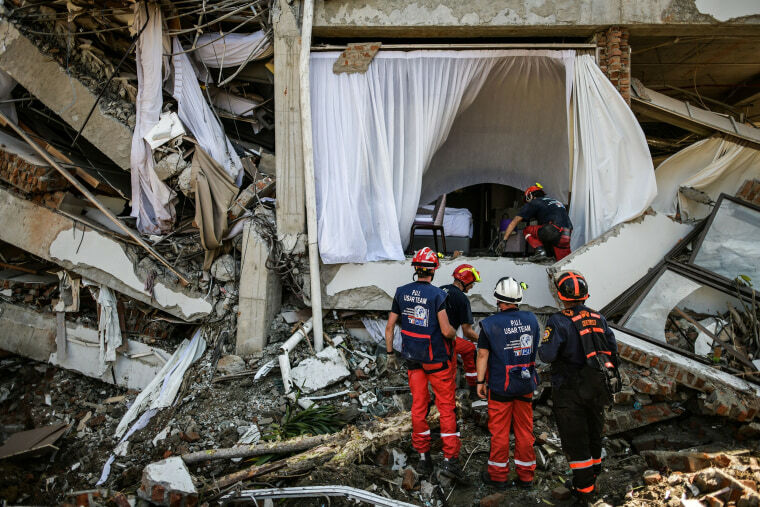 French rescue workers detected the presence of a possible victim buried under the collapsed building. PALU, Indonesia— A French rescue team said Thursday it had detected a possible sign of life under the rubble of a hotel in Indonesia's central Sulawesi, nearly a week after it was hit by a powerful earthquake and tsunami, as the death toll rose to more than 1,500. The rescue team cautioned that other factors could cause the sensors members use to give a false result.